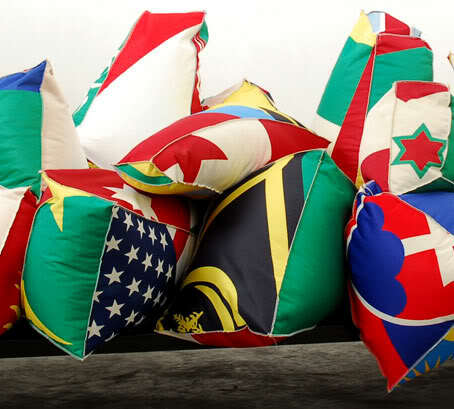 The sofa "crowded" made of a collection of rock-shaped pillows made of parts of various national flags forcibly sawn to form a chaotic surface wholeness. 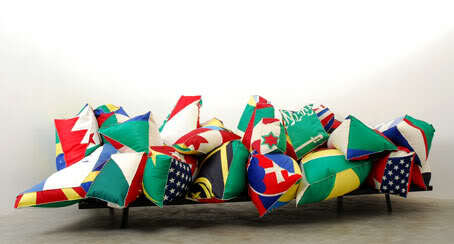 The "rocks" are cozy and comfortable to sit on and they create a colorful completeness typical of flag-color plate, i.e. 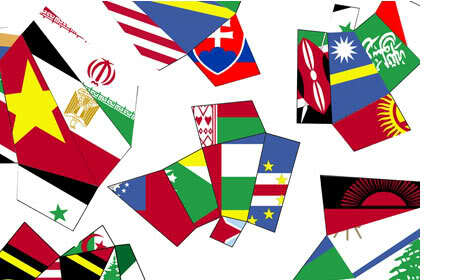 basic colors, glaring in their geometrical shape, and creating 'identifying game' and identification.